Mobile Marketing is marketing that is done using a mobile device like a smartphone or tablet. 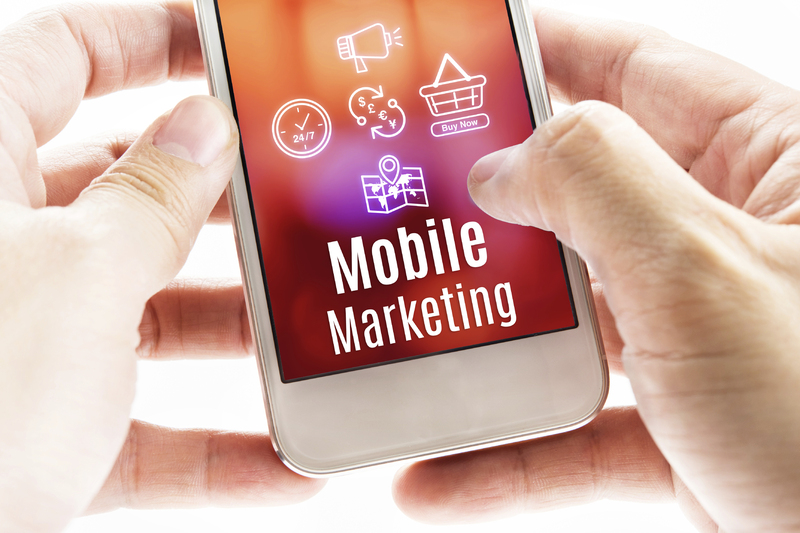 Attracting business through Mobile Marketing is a great way to increase your business. Mobile Marketing strategies are important to growing and optimizing your business. At the Social Media Factor, we will organize a strategy for you to conquer the mobile market. Business is more than just about word of mouth nowadays. It’s about being strong in Mobile Marketing arena. Why is it so important to dominate this market? To begin with, most searches for businesses and services are done online and using mobile devices. Advertising online will create a target audience that you can focus on. By showing up on mobile search engines, you will be targeting the communities around your business at any time of day. Your business can use mobile ads, QR codes, and and interactive advertising. No longer are businesses confined to print and television ads. Companies can even invent apps to advertise their business. Optimizing Mobile Marketing strategies will take your business to the next level of success. There are several types of mobile marketing strategies your company can utilize for optimal success. SMS: SMS marketing involves capturing a user’s phone number and sending them text offers. Another important ad strategy to be considered is Google Adwords Enhanced Campaigns. Most mobile marketing campaigns are aimed at being ranked highly on Google. We can help develop a campaign that will help become one of the top ranked searches. Our team will guide you through the use of Google Adwords Enhanced Campaigns. Your business can use Google ad extensions to boost your customers. Here’s how we do it. Mobile Site Links: Mobile site links make it easy for mobile users to jump to specific pages of your site without wandering around. Site links are especially useful in mobile marketing, as it’s much more convenient for users on mobile devices. Click-to-Call Mobile Ad Extension: The click-to-call extension puts a “call” button directly beneath an ad. Clicking the button automatically generates a business’s phone number on a user’s mobile device. Google Offers for Mobile: The Google Offers mobile ad extension lets advertisers post a discount offer or coupon beneath their ad. These special offers can capture the attention of users who might otherwise ignore an ad. Click-to-Download Ad Extension: The click-to-download ad extension is similar to the click-to-call, only instead of generating a phone number, clicking the “download” button takes users to the download page of the advertiser’s pre-selected app. Local Ad Extensions: Local ad extensions are probably the most important extensions for mobile, considering that 1 in 3 mobile searches have local intent. Considering how many mobile searches are questions looking for a local solution, local mobile marketing needs to be a key aspect of your mobile strategy. There are amazing benefits to utilizing these marketing strategies. Continue to read how Mobile Marketing can help you. Most websites are mobile-friendly. A majority of people search for local businesses on their mobile devices. By carefully optimizing your site, you will rank higher in local business listings. Mobile marketing is very popular with consumers all around the world. Mobile marketing can ensure you reach people at any time of day. There is no waiting for people to get home to search. Mobile marketing is crafted for an on the go society. By having a strong mobile market, you can secure your website audience at all hours. People take their phone with them when they make purchasing decisions. Having your company show up first in search listings will almost guarantee they will choose you. Search engines are oriented towards a younger audience. They are the main users of mobile devices. They are the primary users of mobile devices to look for local listings and product reviews. Optimization of this market will increase your business drastically. Mobile marketing campaigns cost lower to promote than print campaigns. There is no limitation on when you can advertise. Mobile Marketing response rates are usually higher than other forms of marketing. The success of Mobile Marketing begins with good marketing practices like the ones below. This is where the Social Media Factor can help you succeed. Connect ME Digital Marketing guarantees personalized and experience service. Our experts are dedicated to making your business a success. We have years of experience with social media, SEO, content creation, and marketing. We put our expertise to work for you. Our team is there to help you every step of the way. We also work within your budget and time constraints to complete your project. To help you with your Mobile Marketing campaign, we will assist you in tracking your results and finding your target audience. Connect ME Digital Marketing will tailor a campaign that showcases your business and invites audience interaction. We even help with marketing your App and finding the best ways to implement it in your campaign. We offer our clients no hype, sales talk, or unfulfilled promises. We offer our clients real results and manageable goals. Anyone can build a website, write a blog, or make grand promises about SEO engines. Here at the Social Media Factor, we can back up our claims with results. We sit down and listen to your goals. After all, we are here to help you. We will use “Our Three Paths to Success” method to help you reach your goals. We hold your reputation as high as our own. There is no special price for ordering now or for using our services by a certain time. We offer the same quality of service at anytime, anywhere. Contact or email us today for a free consultation. Let us handle your Mobile Marketing experience and take your business to the next level.